The Max Extreme has always been the most advanced nitrous controller in the world, but our latest X2 version is now even more advanced and boasts our unique DVF 50 feature. The addition of our DVF 50 (Dynamic Variable Frequency) feature, enables our Pulsoids to be driven up to the dizzy heights of 50 Hz, which is more than DOUBLE the frequency normally used by most other control units & generic solenoids. The higher the frequency used, the smoother the power delivery and the less load there is on each individual firing cycle, making the Max the ultimate in pulsed progressive control. NO OTHER CONTROLLER OFFERS THIS UNIQUE FEATURE. 1) Enhance your vehicles performance as a result of the numerous unique delivery features, which provide unrivalled levels of control and adjustability over the power delivery. Control and adjustability are the keys to optimum nitrous performance and the Max offers the highest possible levels of both. 2) Provide a level of safety that is beyond anything offered by any other controller, as it has the largest number of unique safety specific features that other controller designers, haven’t even thought of. 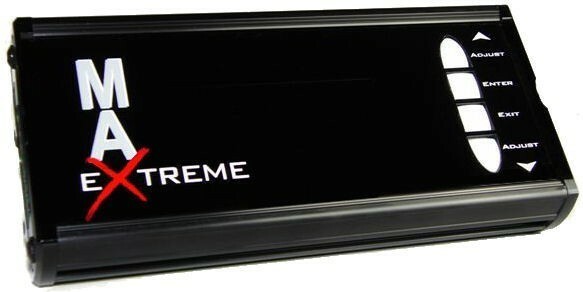 The Max Extreme X2 is the top of our Max Extreme range and is therefore the ULTIMATE nitrous controller on the market. Whatever performance improvements you’ve already achieved with your fixed hit kit, will be improved by a substantial margin when you add a Max Extreme, plus you’ll benefit from the added levels of safety it provides. · FIVE individually adjustable and independent power points per gear for up to 6 gears. · The transition between all 5 points is automatically smoothed, so there is no need for a larger number. · This combination makes the Max far quicker to program and adjust than other units. · Closed loop AFR mixture control that ensures the mixture stays at a target setting, preventing any risk of the engine running lean and in the worst case scenario, it will shut down the system - engine saving WON technology! · Fuel pressure window switch to prevent lean running if fuel pressure fails. 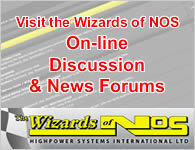 · Nitrous pressure window switch to prevent lean running due to excessive nitrous pressure. · An analogue channel that has a 0 to 5 Volt output signal (proportional to the percentage power delivery), which can be connected to an ignitiion unit or an ECU, to retard the timing to match the amount of nitrous being delivered. · Totally live adjustability – the Max is fully adjustable without the need of laptop or PDA (thus avoiding the associated complexity and expense), not to mention the time and hassle that such arrangements cause, to make even the simplest adjustments. To aid vehicle performance tuning and determine if any safety related problems have been detected, the Max logs the max & min values of the most important data (e.g. fuel pressure, battery voltage, RPM, AFR etc.) and also has an alarm system, along with a safety shut off system. · Some Max Extreme features require additional components not supplied with the base unit, e.g. pressure transducers but they are available as optional extras. · The optional 'Bottle Contents Indicator' upgrade is ONLY available on the X2 version.